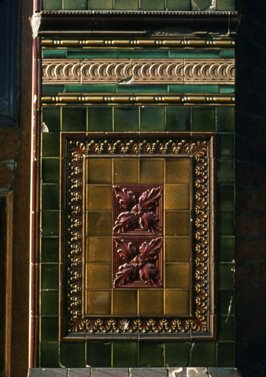 Peter Young's photos of the spendidly tiled doorway of the Royal Tar were taken on the 26th April 1973. At this point the landlord was Roy Henry Henderson, read more about his predecessors. 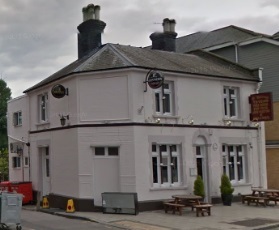 The pub survives today (2016) but is now O'Riordan's, having been Captain Morgan's for a few years in the 2000s. 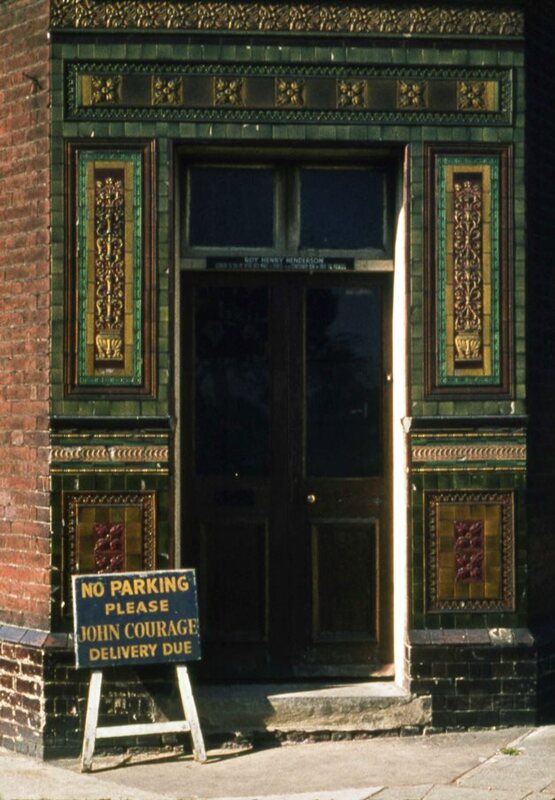 In 1973 the pub was awaiting a delivery from John Courage; a 1937 photo of the pub shows signage for Simonds Ales, Reading: Simonds was to merge with Courage in 1960 (wikipedia). The 1937 view shows the tiled doorway photographed by Peter but a current view (c/o Google maps, below right) shows this corner entrance blocked off. 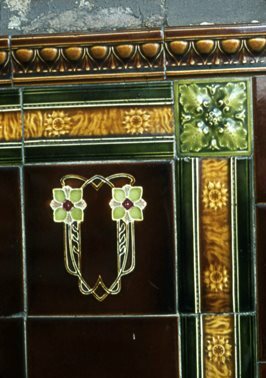 I wonder what happened to those tiles?